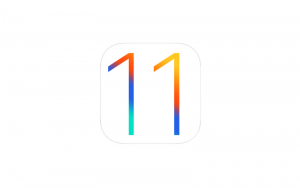 Like it used to be so far, Apple has released it’s 11th Operating System in June which is packed with variety of huge new features, refreshed visualization and all new animations. It’s also said that iOS 11 will not support iPhone models older than iPhone 5S, this is possibly the better deal for iOS app developers. Lock Screen- The lock screen and Notification center are consolidated which allows to all users view notifications directly on the lock screen. Scrolling down will show you notifications and scroll up to hide them. Control Centre: It is redesigned to combine different things in one page, allows a user to customize their control center and attractive animations give 3D touch buttons in it. The Control Centre is adjustable through the Settings application and takes into consideration a more extensive scope of settings highlights, including cell benefit, Low Power Mode, and an easy route to the Notes app. Siri- Now, Siri your personal assistant is faster and helpful. It has more natural voice quality which is available with language translation as well (English, Chinese, German, French, Italian and Spanish).Users will able to type questions to Siri and it also supports to follow-up questions. Siri will available “on device learning “means able to understand user behaviour and interests. App store – App store visualizations are refreshed, it highlights some apps that look attractive from the point of view of browsing. There is a dedicated game section available now. Handel screenshots: In ios 11 ways to handle screenshots are pretty awesome, take a screenshot it goes on the corner of the screen then tap on it. First time gives you options like highlights, mark-ups plus you have a bonus to take multiple screenshots and all are shown at the bottom. You will view and make changes whatever you want before sharing. Other than this IOS 11 is a more cleaned, good looking visualization and animations effect. • Attending the calls by the power button. • iTunes, Appstore, and calculator have a different view. • There are no labels at the bottom of your home screen looks more cleaner. • Lock screen buttons are flatter and look classy. New “ARkit” application programming interface (API) gives chance to third party developers to develop enlarge reality apps, taking advantage from device’s camera. The ARKit usefulness is just accessible to clients of Apple A9 and later processor. ARKit, according to Apple, is a framework for creating augmented reality experiences for the iPhone and iPad that merges camera sensor data with data from a device’s accelerometer, gyroscope and pedometer — known collectively as Core Motion data. Core ML, according to Apple, is “a foundational machine learning framework” that runs learning models directly on a mobile device, eliminating the server round trips necessary in the past. Face tracking, face detection, landmarks, text detection, rectangle detection, bar code detection and object tracking will enable developers to build vision-based machine learning into applications. The switch from iOS 10 to iOS 11 was very small in regard to breaking features. Even with Swift 3 to Swift 4, nothing really broke. The switch on this version was much better than the last version. The last version introduced APIs that didn’t support older devices. It’s important to understand what technologies older devices cannot use. So a word of advise for iOS Developers, Invest time learning about machine learning — not just the framework, but why it is important. You’re going to see more jobs that require virtual and augmented reality skills. There’s money in it: Become an expert in iOS augmented reality, and it will put you above other people who are applying for jobs. If I was looking for a job, I’d totally be mastering the Apple ARKit right now. We’re going to see lots of opportunities there. Ushyaku Software Solutions strongly believes in developing products with latest technologies available. Our team loves to play with latest technologies to build awesome products.